Cookies are one of those desserts that are just meant to be shared. Already in perfectly portioned individual serving sizes, it sure is easier to share a plate of cookies than a cake or a pie! They also transport well, making them a great choice for bake sales or delivering to a friend – and they even mail well, so you can send them to a friend or family member who lives far away! In today’s newsletter, we’re sharing some of our favorite cookie recipes. And we’re asking you to share your favorite recipes with us! That’s right, if you have a favorite cookie recipe you’ve always wanted to share – now’s your chance! Simply write it out in the comments below. Be sure to tell us about the cookie in your own words, and why you love it so much. We’ll even share your recipes with our readers in our newsletter! In the meantime, we’d like to share a few of our favorite recipes with you. Triple Chocolate Chip Cookies : Need a cookie recipe guaranteed to have everybody begging for more? 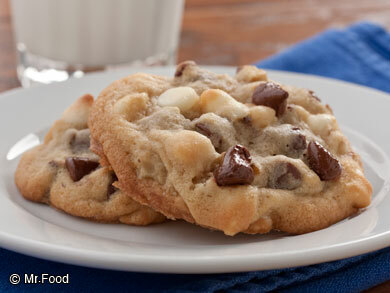 These mouthwatering cookies combine three – count ’em – three types of chocolate chips! Bet you can’t resist ’em fresh from the oven! 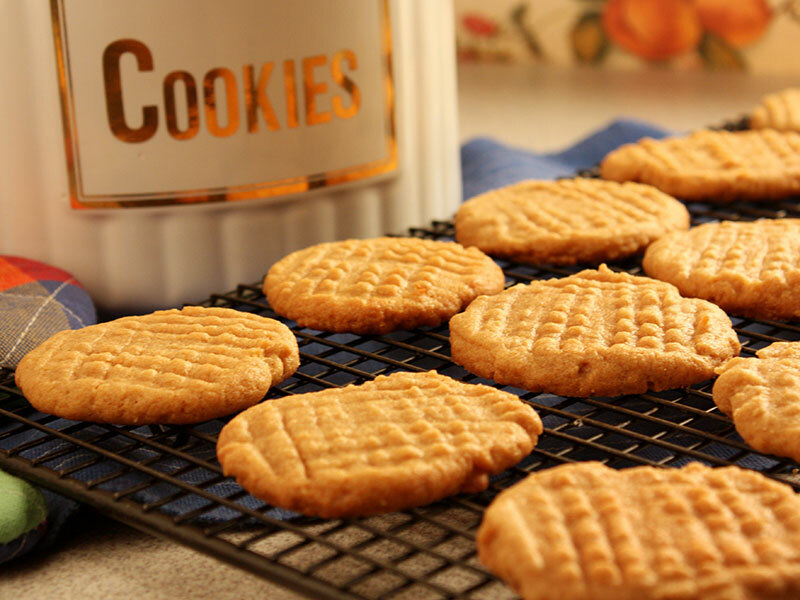 Soft Peanut Butter Cookies : Our melt-in-your-mouth recipe for Soft Peanut Butter Cookies will satisfy all your peanut butter lovers, for sure. Serve these homemade peanutty tasting cookies with a cold glass of milk and watch them disappear from your cookie jar. Oatmeal Raisin Drops : Heart-healthy oats and nutritious raisins, along with a few wholesome basics, mix up to make these melt-in-your-mouth cookies. 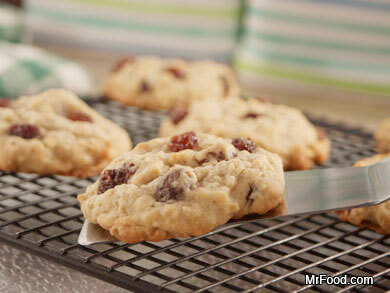 Our easy Oatmeal Raisin Drops will be hard to keep in your cookie jar for long – they’re that good. 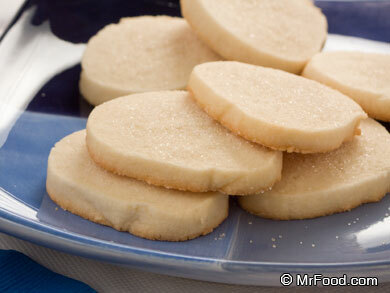 Vanilla Sugar Cookies : Our recipe for Vanilla Sugar Cookies gives you a versatile cookie ’cause it’s perfect as is, or you can use the same dough with other flavorings and come up with really fun variations. 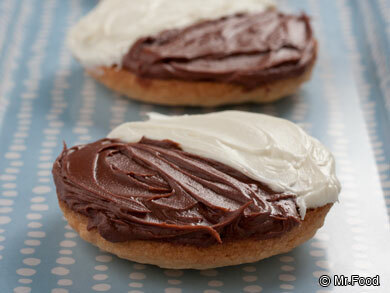 Black and White Cookies : Practically every bakery has these cookies they call either Black and Whites or Half Moons. No matter what they’re called, what makes these so good is that you don’t have to decide if you want chocolate icing or vanilla, ’cause each cookie has both!